This series is not for scholars and experts but for the curious and thoughtful person who has not a great deal of time for study but would like to understand what psychic phenomena is and why it is of importance. Born in 1831, Madame H.P. Blavatsky was a Russian aristocrat recognized at an early age to be a non-conforming free spirit possessing particularly powerful occult powers. 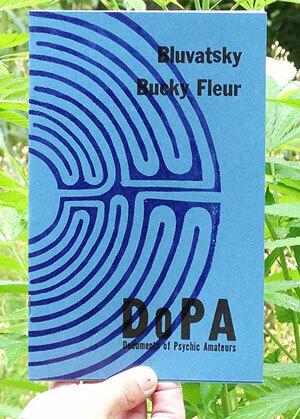 Bucky Fleur's document, Bluvatsky, reproduces an account of Mme. Blavatsky's early years that has been altered by mysterious forces to uncover an alternate biography: the ear life one Bluvatsky, possibly the Astral Body of Madame B. 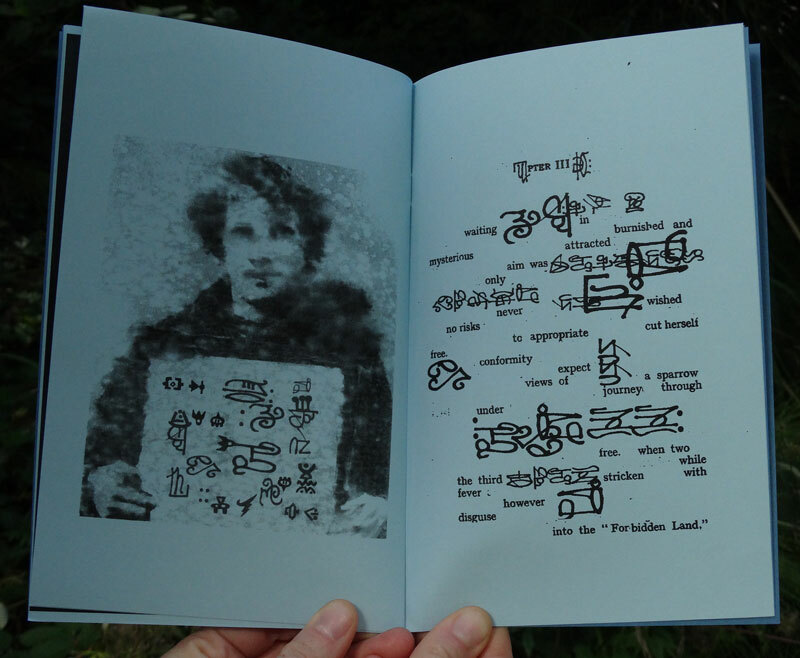 Printed in an edition of 35 copies, 28 pages with two colour letterpress cover. A crystal ball enfolds a rose. This tale starts in the middle of the action and is flung up into a dark funnel where an unnamed fortune teller is pierced by the shards of her crystal ball. The ending cannot be revealed here but must be discovered in MacSwain's document. 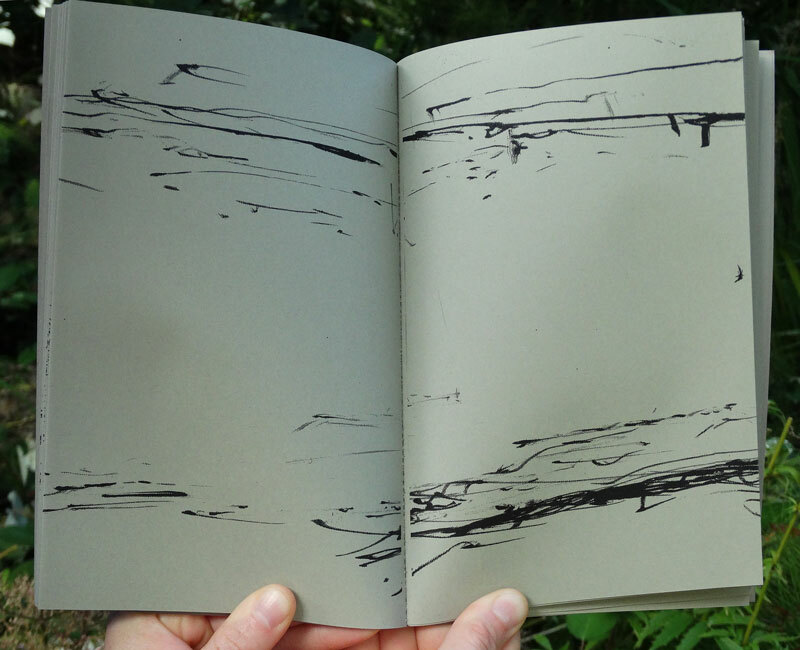 As we read on the penultimate page, “Only the mind is super natural and shelters the vision of the journey”. Printed in an addition of 35 copies. 12 pages, five full-colour. Two colour letterpress cover with blood-red end sheets. 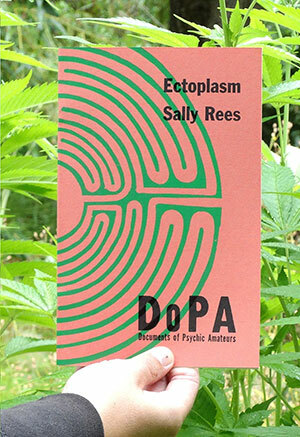 Years ago before Perro Verlag became conjoined with The Institute for the Science of Identity, we imagined, in our ignorance, that Ectoplasm was a gross snot-like substance that poured from the eyes, nose and mouth of the Medium during seance. 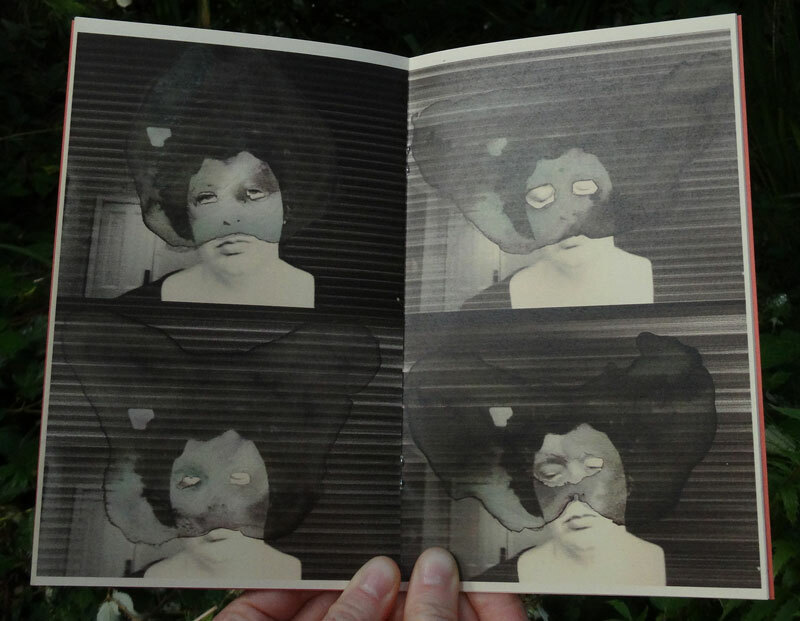 Sally Rees' document, Ectoplasm, presents 32 screen shots from her luminous film Ectoplasmic. These are images reveal a subtly-coloured material that appears to caress the entranced female medium. 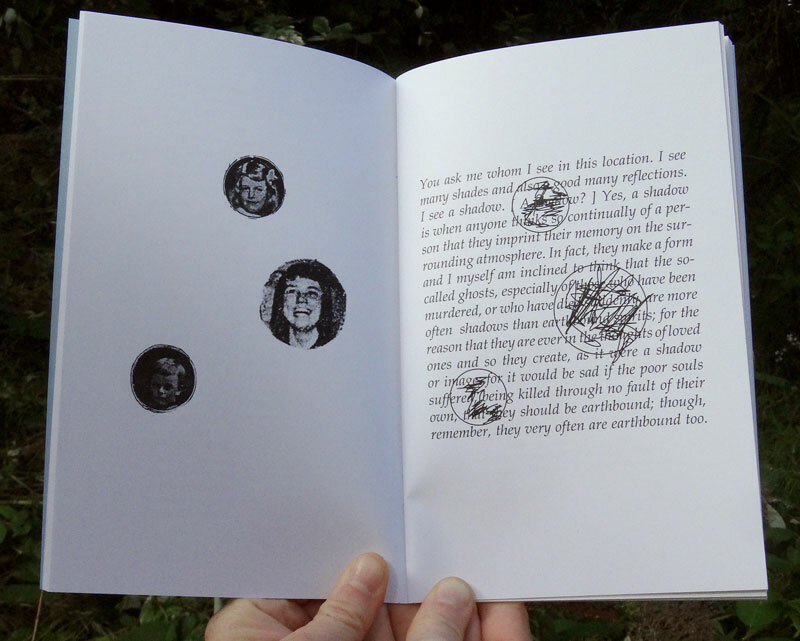 Printed in an edition of 35 copies. 24 full-colur pages. Two colour letterpress cover. How is a person a medium, how a conduit, a visonary, a faker? What happens when a ghost enters the room? And who are the ghosts anyway? 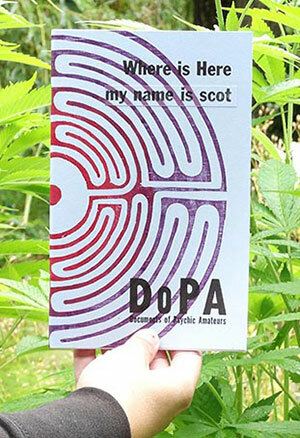 My name is scot's document, Where is Here, won't provide answers to any of these questions directly but it is, nevertheless, a profoundly focused engagement with, and evocation of the images and voices hovering at the edges of these questions. 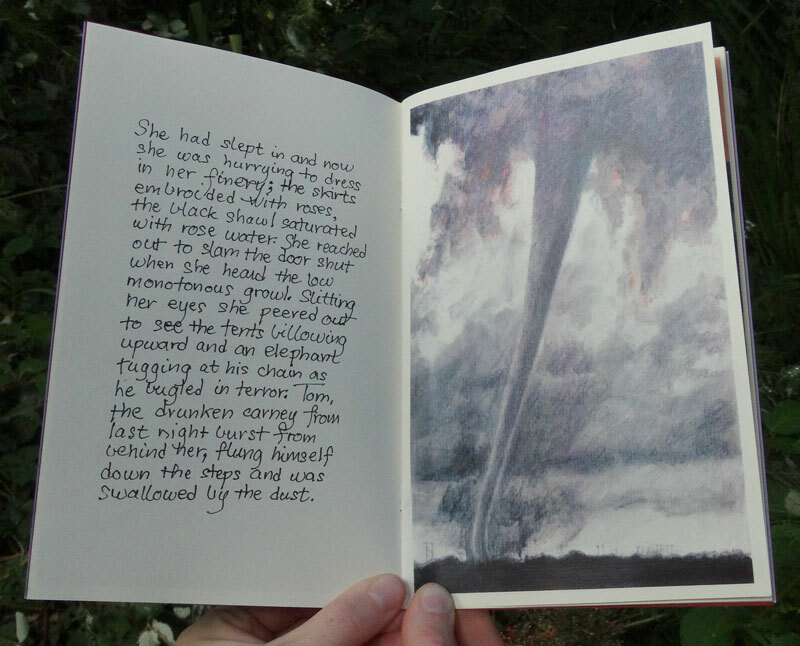 Printed in an edition of 35 copies. 50 pages with two colour rainbow roll letterpress cover. Emily Goodden spent one year setting up drawing materials in situations where the drawings would be made by the determinations of chance. Her Sleep Drawing involved hanging Sharpies dangling from hooks on the ceiling. The Sharpies were poised over a long sheet of paper scrolled out from the wall. The other end of the strings were attached to the duvet. As the dreamer dreamed, her movements were conveyed by string and Sharpie on to the paper. 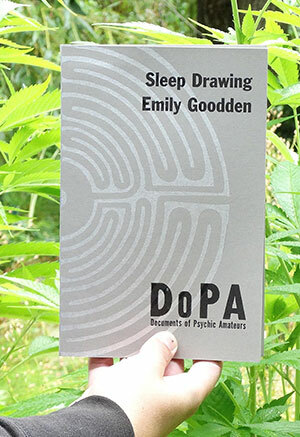 Goodden's document, Sleep Drawing is a reproduction in book form of this one 16' long drawing. Printed in an edition of 35 copies. 40 pages, two colour letterpress cover. Perfect bound. 21 x 15 cm. Raise hands all those who have ever attempted to make drawings of their dreams. We have known only one book, Dreams by Jim Shaw, that never fails to trouble our mind and hurt our eyes each time we open it. 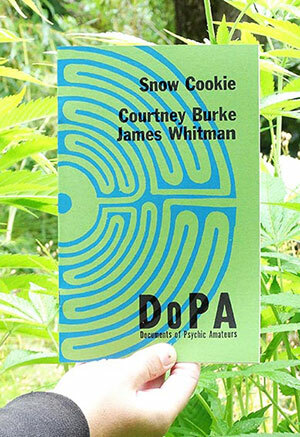 But now, we have the drawings by James Whitman and Courtney Burke. 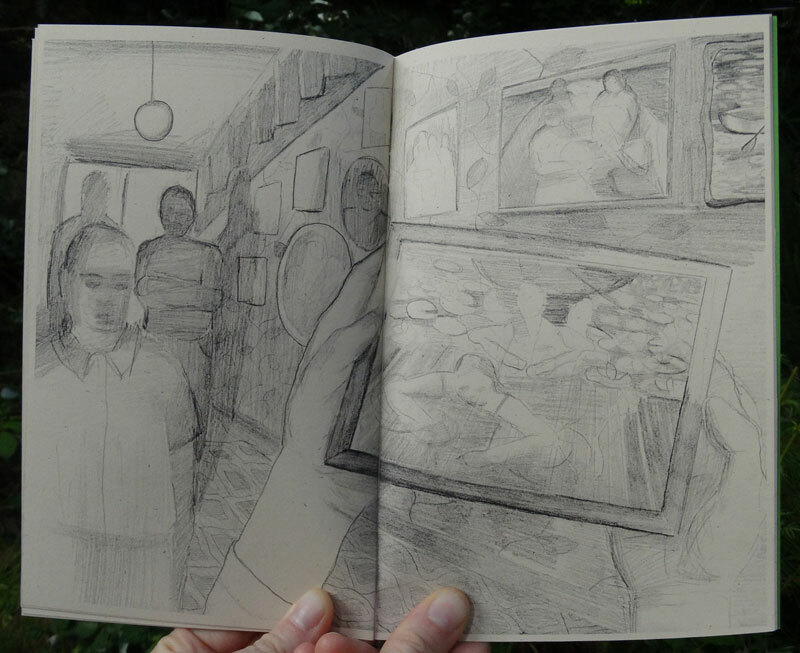 Their document, Snow Cookie, displays with painstaking pencil shading and vertigo-producing angles their disorienting dream scenes. Gorgeous haunting work. 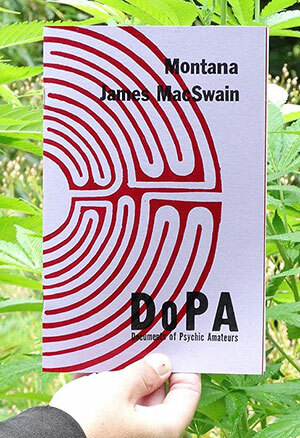 Printed in an edition of 35 copies. 24 pages with a two colour letterpress cover.